Justine Barrett Figura’s ceramics are a conduit between function and beauty, stirring the senses with playful patterns over elegant forms. Her stylized pieces create an extraordinary experience for the user, transforming the mundane act of consumption into a special ritual in a subtle and basic way. 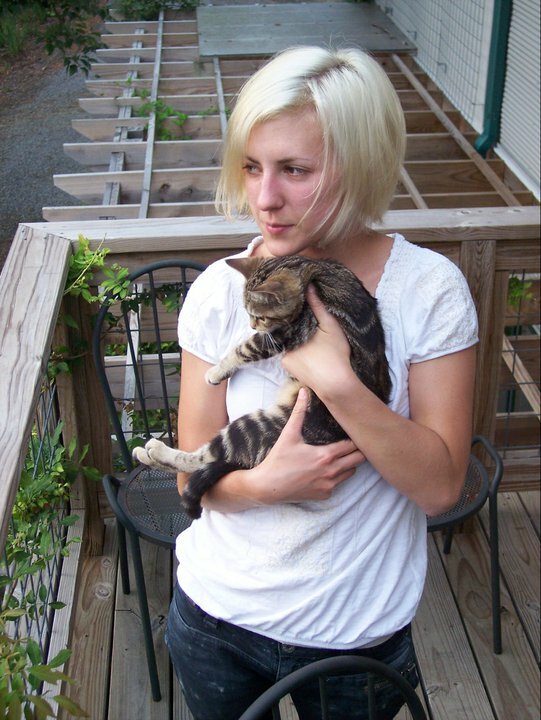 The Floyd, Virginia based artisan attended Alfred University with the intent to be a painter, but after rediscovering her passion for ceramics and pottery during her third year, Justine ended up with a BFA in ceramics. 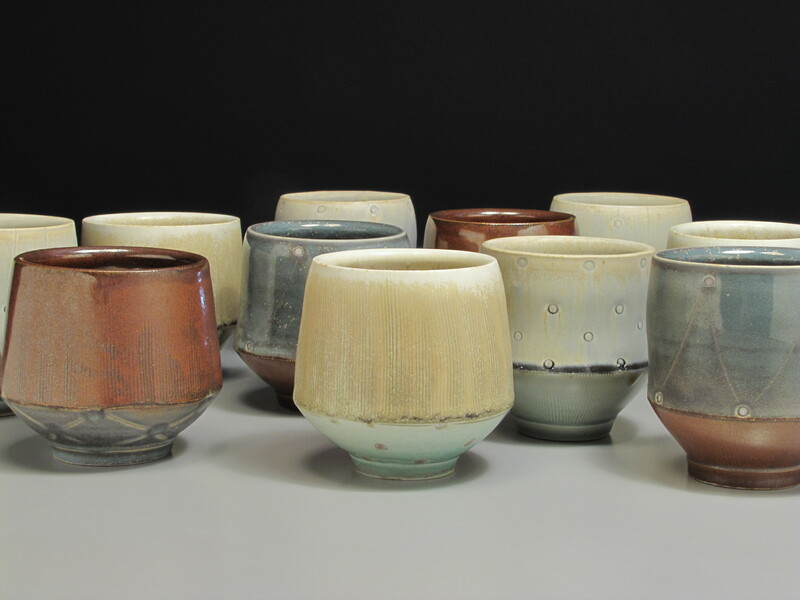 Now a full time artist, she is currently apprenticing under potters Donna Polseno and Richard Hensley, who are major influences on her work and provide her with a space to explore her craft outside of academia. Justine has been able to learn essential skills from the artists, who each have more than 30 years’ experience with the craft. The amount of time and attentiveness put into each handmade object requests an equal responsibility from the user: “live with intention, ritualize the ordinary, and amplify beauty in every possible space,” Justine says in her artist’s statement. For example, she says, a person could live with white walls or paint them a different color. A consumer has a choice between buying a mass-produced mug from a store and buying a handcrafted, one-of-a-kind mug that moves them, she affirms. It’s about surrounding yourself with things that inspire you. And looking at this artist’s work, it’s evident her inspiration is food. From the time Justine learned how to cook, her passion for cuisine has poured into her art. “Cooking — especially from scratch — is very process based, much like ceramics,” she says. “In the studio I make all my own glazes, mix my own clay, and sometimes I make my own tools.” Accordingly, in the kitchen Justine makes her own bread, kombucha and sprouting beans. 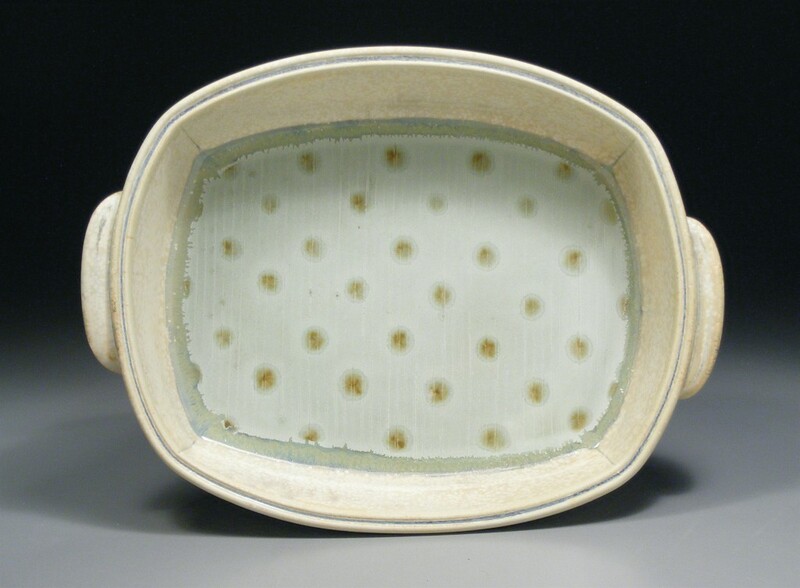 Her ceramic works are encouraged by personal need: when she needed a coffee brewer, she began to make coffee pots; and after discovering standard-sized bread pans are too small, she started making bread pans that yield bigger loaves. “I don’t really expect them to sell,” she says, “but I don’t care.” Justine enjoys using her skills in all creative areas, and practice comes before profit. With a personal passion for food followed by an effort to bring excitement to the otherwise ordinary, Justine’s pieces aim to inspire. And she’s only getting started. Alisa Damaso: How would you describe your creative process? How much planning goes into a single piece? Justine Barrett Figura: Since my work is centered around the kitchen and the table, many of my ideas come to me in those places. I keep a sketchbook of drawings, notes and brainstorming pages where I work out ideas on design, form and pattern. I will often sit and write out a list of every single thing I would like to make if time were not an issue and then I go from there. I rarely get through the whole list due to one deadline or another, but keeping those ideas in mind is important. It helps to inform the other things I’m making and helps me better understand the themes in my work. Each piece goes through several generations before I find exactly how I want to make it. For example, I make mugs in rounds of 20 or so, and they shift ever so slightly each time I make them. So a single form goes through maybe five generations before I get it right, and there are many I’m still not satisfied with. It’s in the making where the idea speaks to me, because I can analyze an idea forever, but nothing tells me more about the form than creating the thing itself. AD: Who and/or what are your sources of inspiration? JBF: I love browsing kitchen stores, [studying] fine dining design, and looking at fashion magazines and clothing patterns. I am very affected by color and changes in season and in light. I love the interplay between different materials like wood, metal, glass, ceramic and fiber — materials that stand the test of time and have a rich history throughout the world. I live in the mountains in a remote little town, so the landscape and abundance of wildlife is really inspiring and refreshing. It’s also a farming community, which serves to remind me about the importance of food and supporting local businesses, and I very much rely on that mentality from others. 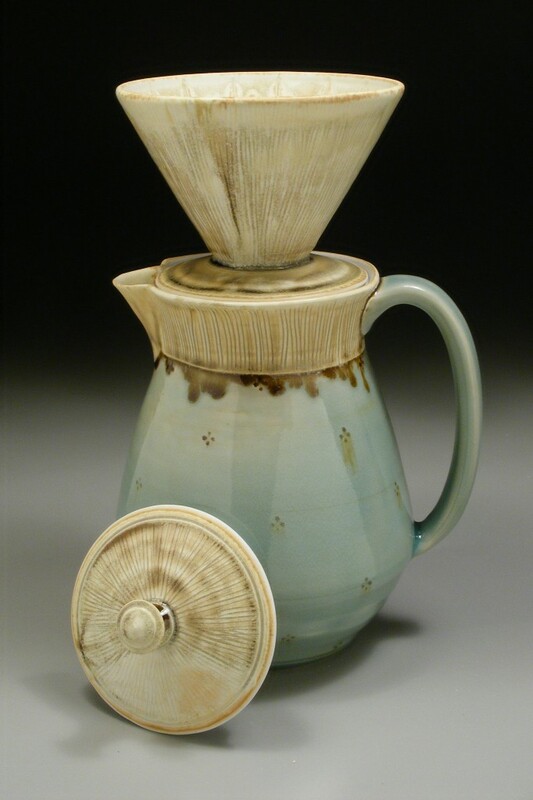 I am greatly influenced by many contemporary potters — Lorna Meaden, Mark Shapiro, Gwendolyn Yoppolo, Mary Barringer, as well as all of the 16 Hands potters based in Floyd. Also my husband, Grant, is a very talented artist and being able to bounce ideas back and forth helps me creatively and emotionally, and reminds me why I’m doing what I’m doing. AD: What are your biggest challenges as an artist, and how do you get through them? JBF: My biggest challenge is definitely finding a balance. There is a fine line between pushing yourself and treating your body like it’s a machine, and this is something that I am constantly relearning. If I don’t force myself to take a day off, I won’t do it. And then I get really worn out and much less productive. I also tend to be really hard on myself, and I think most artists have this problem. Why can’t we just give ourselves the same advice as we would a friend? I have to literally shut my brain off to my work when I am home. It hasn’t been easy and I am getting better, but like everything, it is a process. Check out more of Justine’s work at her website, justinebfigura.com.